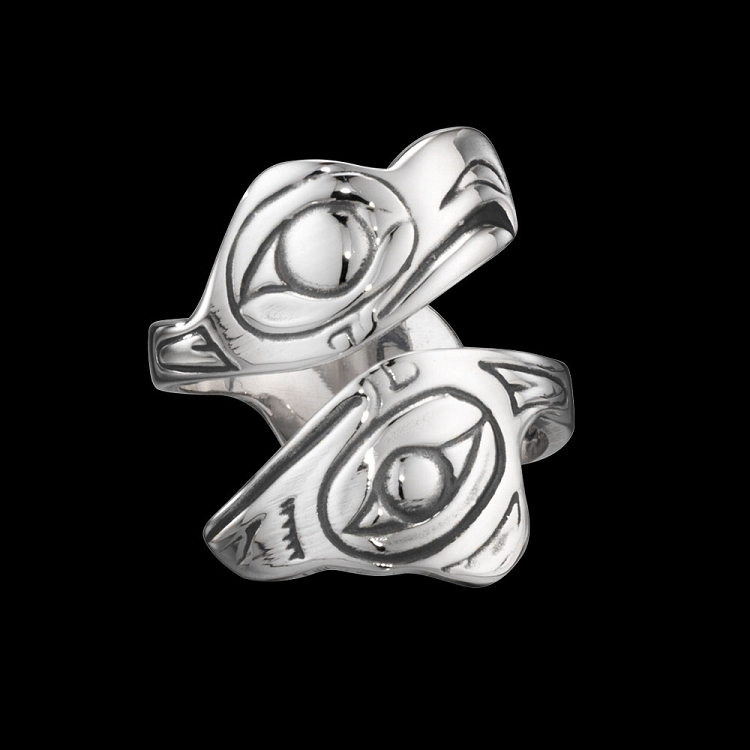 Sterling Silver Northwest Lovebirds Ring by Metal Arts Group. 3.3 x 0.5 inch Sterling Silver Lovebirds Ring by Amos Wallace. Made in USA.